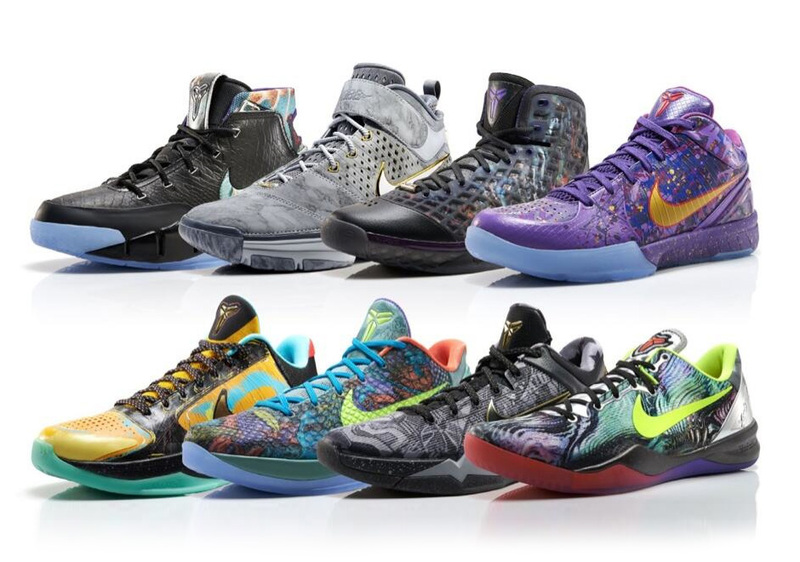 With five different varieties to choose from, how could anyone miss out on the Kobe 9 in 2014? 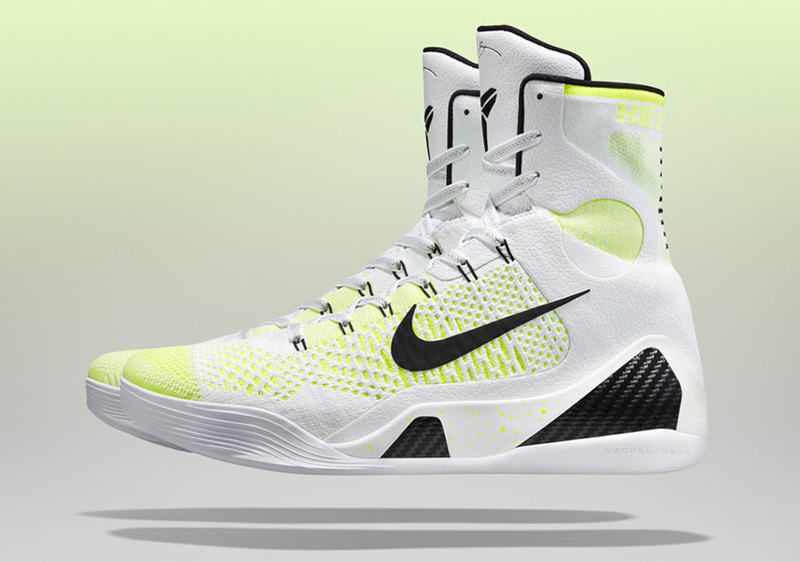 Arguably the best signature sneaker in the Nike Kobe history, the Kobe 9 pushed forward with an unrelenting string of awesome releases in a variety of forms – the Low and High Flyknit Elite, the EM Low, and both versions of the EXT. 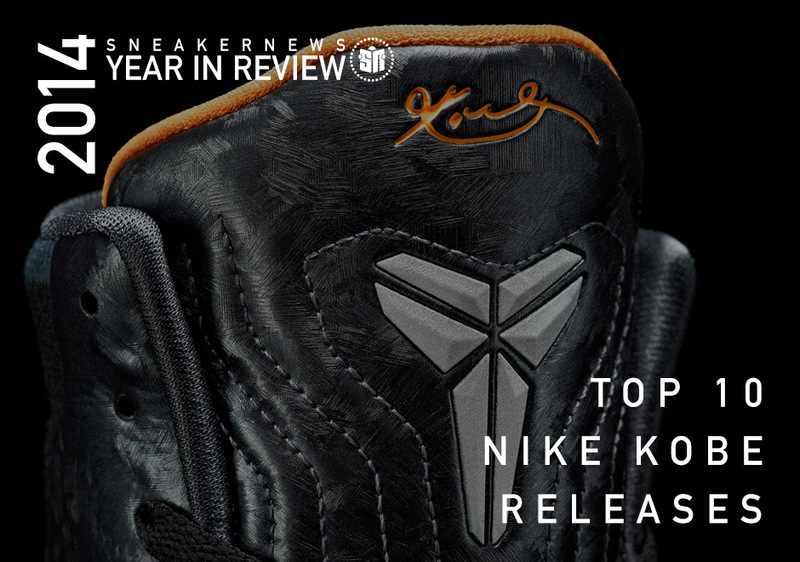 Continue on to get our take of the ten best Nike Kobe 9 releases of 2014 and see where your personal favorite lands on our list. The lone EM installment deserving of our Top 10 is this special tribute to the Philippines, a country that deems Kobe Bryant a living basketball god. 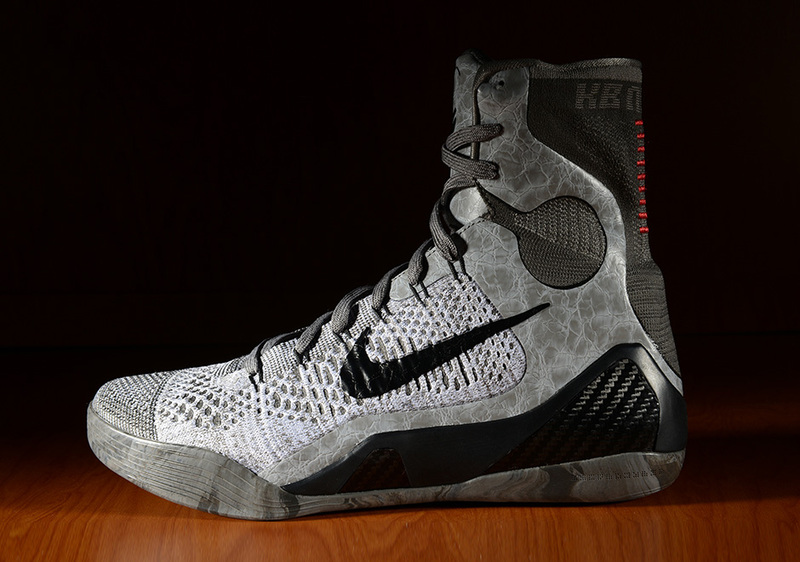 Of the many Kobe 9 Elite models to hit at retailers worldwide, this “Detail” pair, which mimics the luxurious aura of marble sculptures, was a true prize of the bunch. 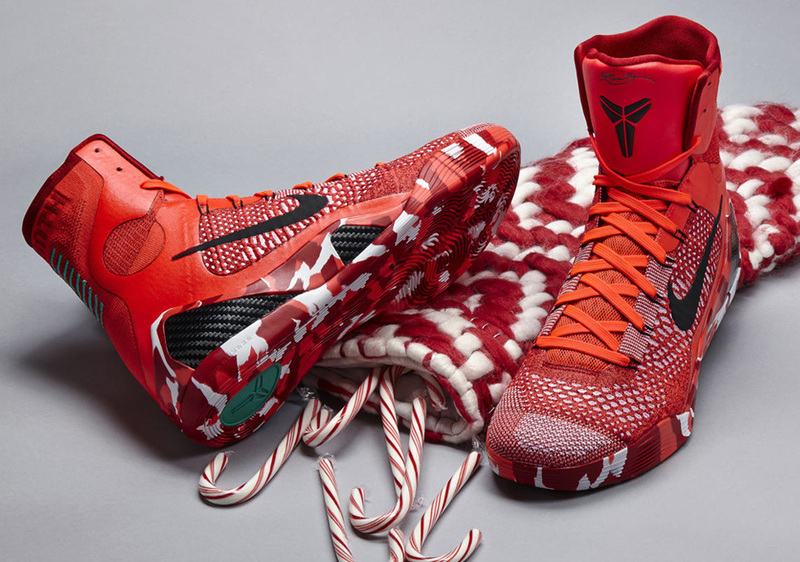 The Christmas Kobes are a tradition we love celebrating, and this year’s offering, which takes after candy canes and knit stockings, was a true highlight of the model. 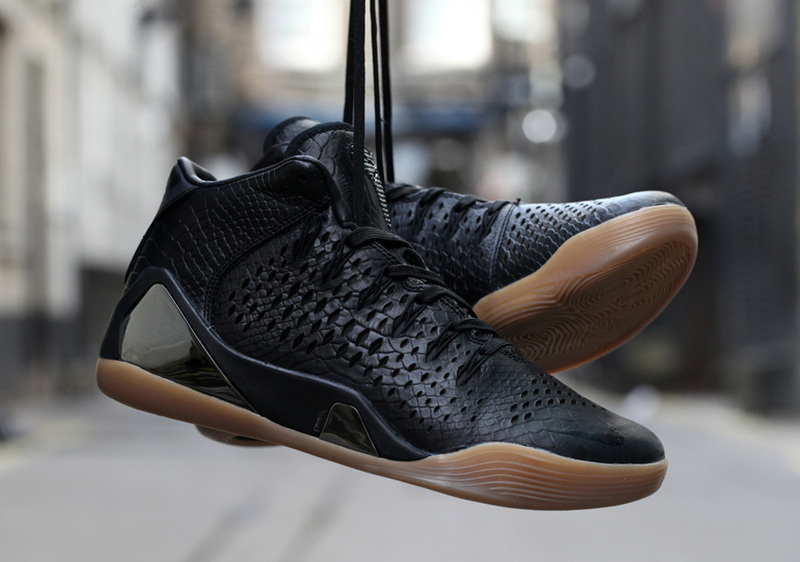 The Kobe 9 entered the Extension trim with this mid-top design, which took on a tonal black snakeskin upper and a solid gum sole. Following that Mid-top EXT is the high-top trim in a brown snakeskin upper. This high-fashion friendly sneaker was a proper representation of what NSW’s Extension line was created to achieve. 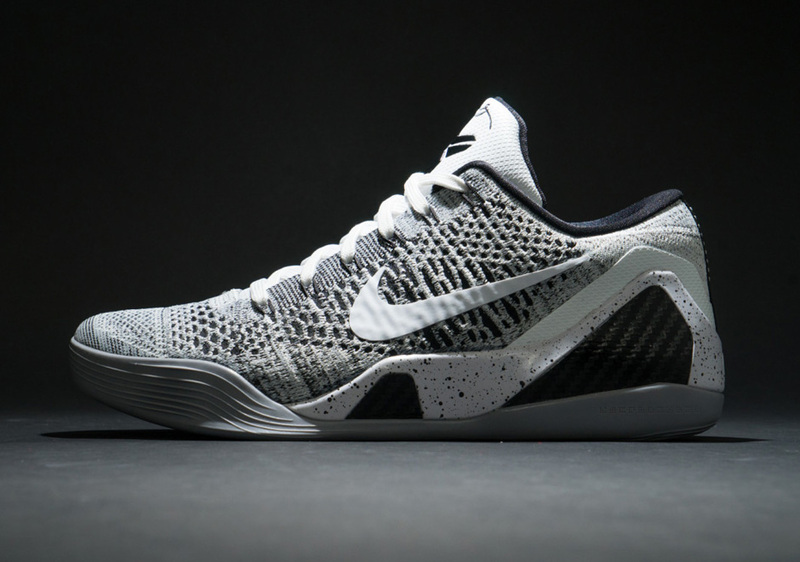 Inspired by the piano keys of the legendary Ludwig van Beethoven, Nike Basketball delivered this white/black Kobe 9 Elite Low in mid-August. 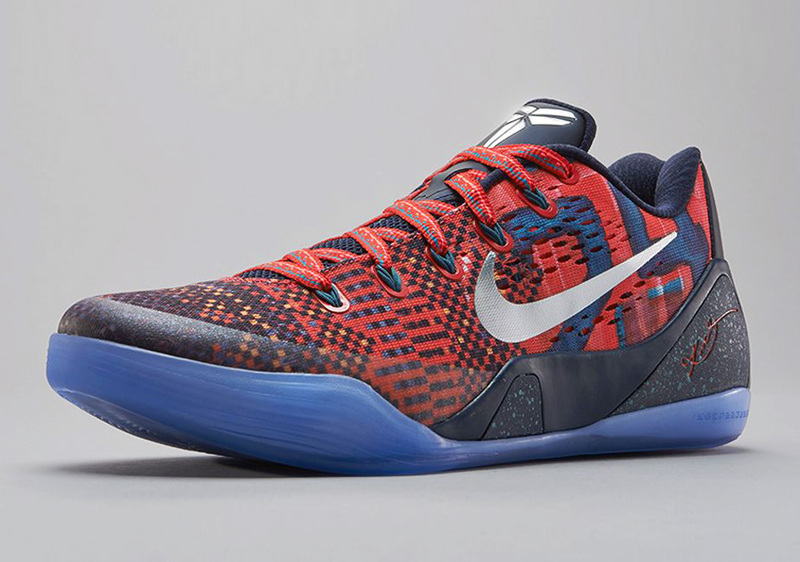 Prior to the release of the “Masterpiece” colorway, Nike unleashed this NRG edition of the Kobe 9 Elite at select Nike Sportswear shops around the world. Kobe Bryant’s signature shoes entered the Retro category with the Prelude Pack; all eight silhouettes appeared over the span of eight weeks, with each installment telling a distinct story through specific styles of art. 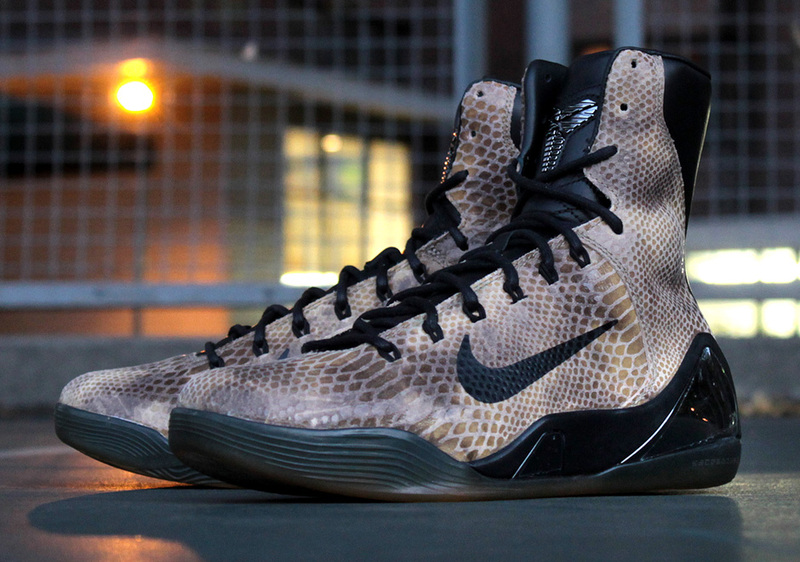 The “Masterpiece” served as the debut release of the ninth Kobe 9 sneaker. 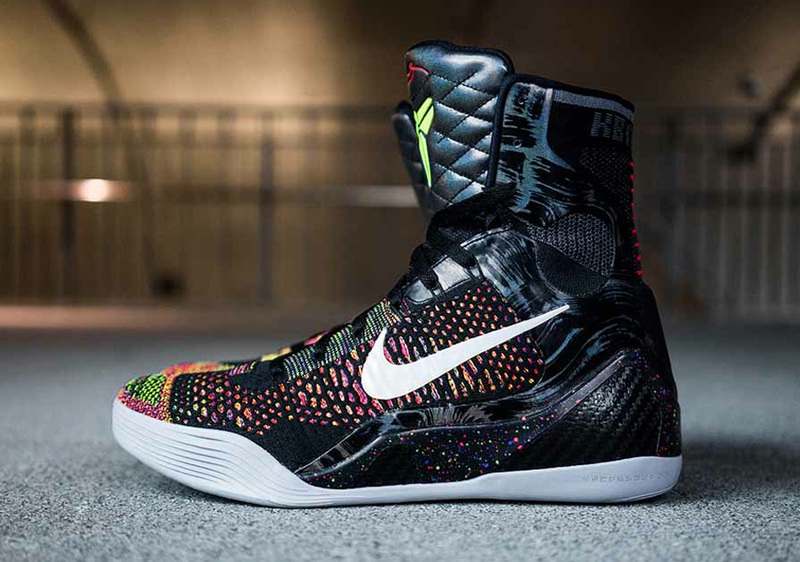 Unlike most other upcoming Nike shoes, the Kobe 9 Elite was never leaked to the public; in fact, Sneaker News brought you a first look when we were at the exclusive media event in December of 2013. 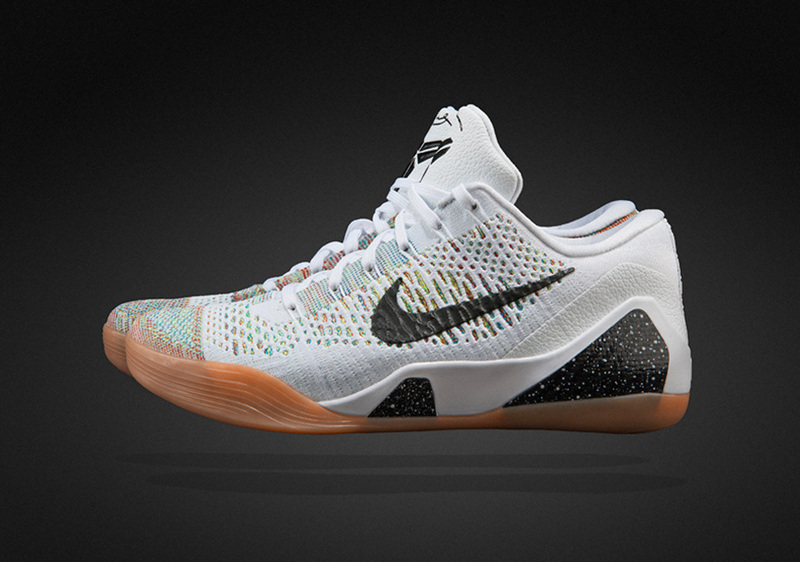 In a year filled with HTM-penned masterpieces, the Kobe 9 Elite Low could be considered the trio’s magnus opus. These four releases, which were exclusive to Nike Sportswear concept shops in Milan and later at 21 Mercer via random restock, introduced the low-top Flyknit Kobes to the masses in unparalleled fashion, with succinct levels of luxury and refinement never before seen in a Nike Basketball signature shoe.